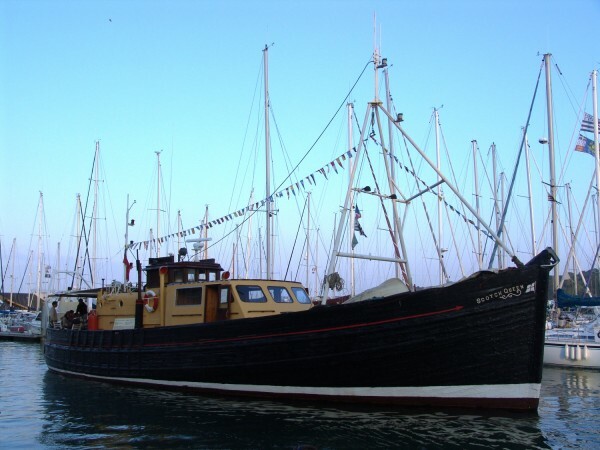 Built by Humphrey and Smith of Grimsby in 1944 to the lines of the traditional Scottish fishing vessels that had become so popular as work horses in the British seas. 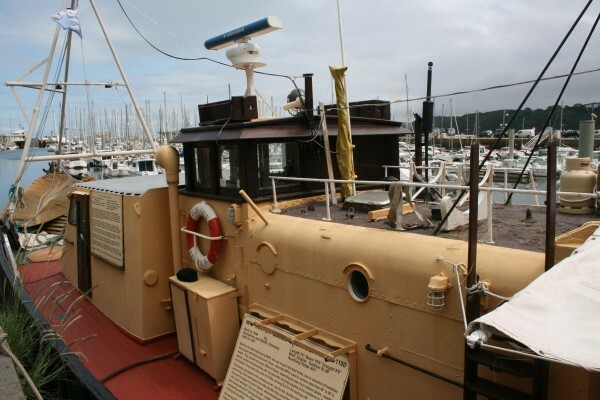 She was built for the admiralty and was destined to head to the East Indies where many similar boats were already operating, however because the war had come to an end she was instead placed with Nore Command in Dover. 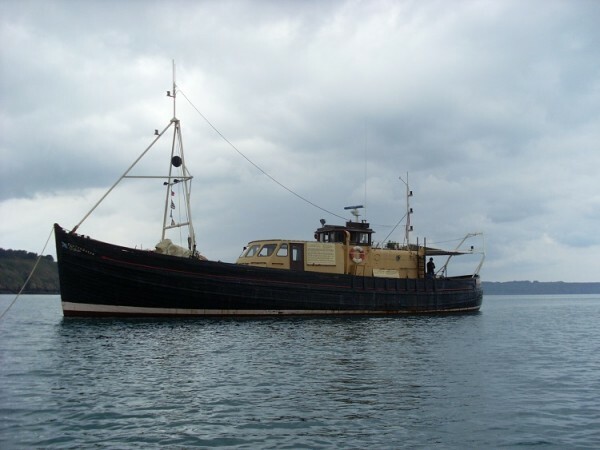 After being decommissioned from the navy in 1948, she was converted into a fishing vessel as many other admiralty boats were, and fished mainly for Herring. 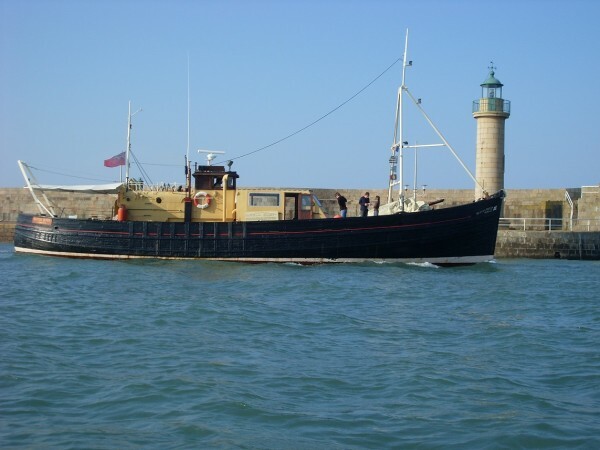 She at one stage caught a record 196 cran, approximately 196,000 herring, in one trip. 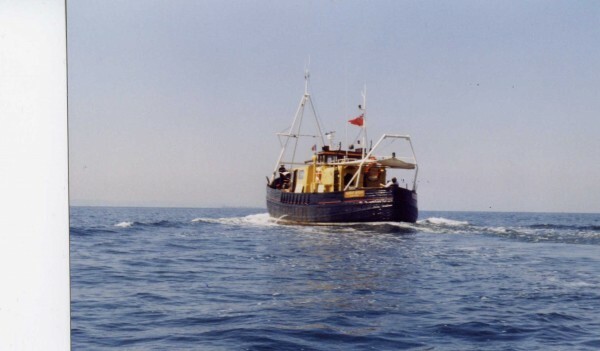 After being retired from fishing she went on to work as a survey and dive vessel in the North Sea which was when the extra superstructure was added. 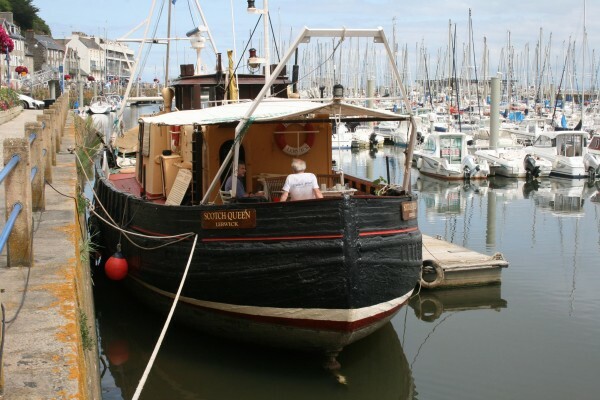 She has been in the present ownership for over 20 years in which time she has served as a private yacht, attending many heritage events around the coasts of Britain and France. 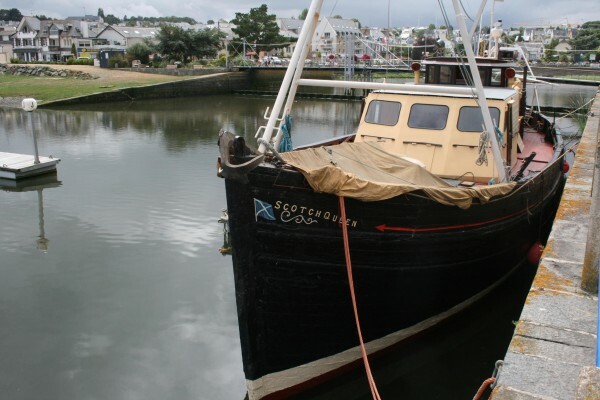 However the inevitable maintenance work is slowly becoming too much of a burden and the decision has been made to move her on to a new owners who will be able to carry on the ongoing maintenance. Planked in oak all fastened with galvanised dumps to sawn oak frames in futtocks. 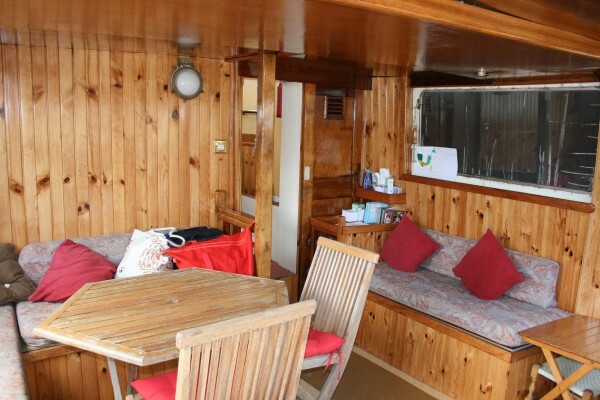 Straight laid pine deck fastened to the deck beams with galvanised dumps. 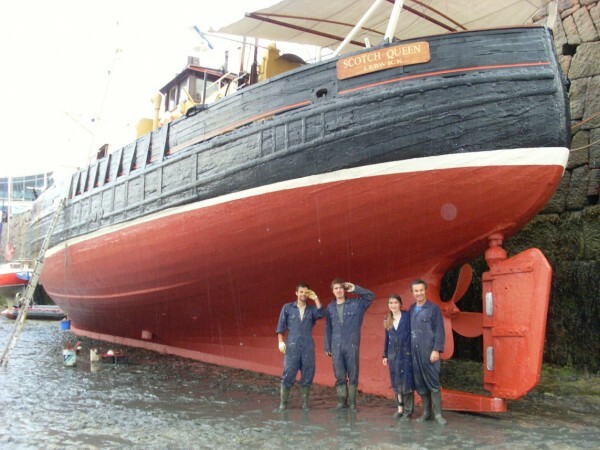 Caulked and payed in the traditional way. 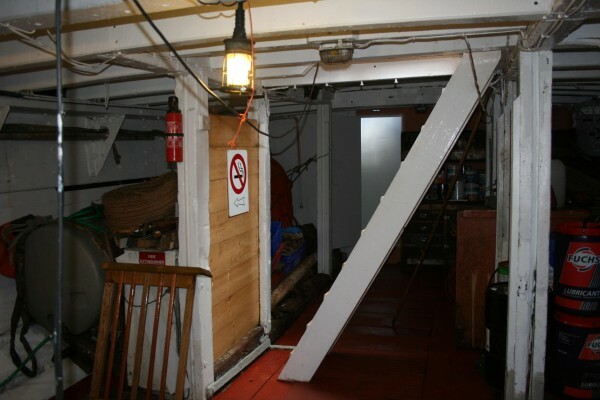 Many deck planks have been renewed however the fore deck is in need of replacing. 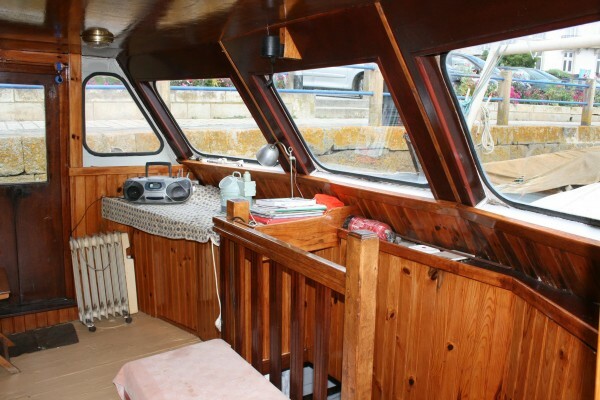 The bulwarks are on large oak stanchions mounted through the cover boards. 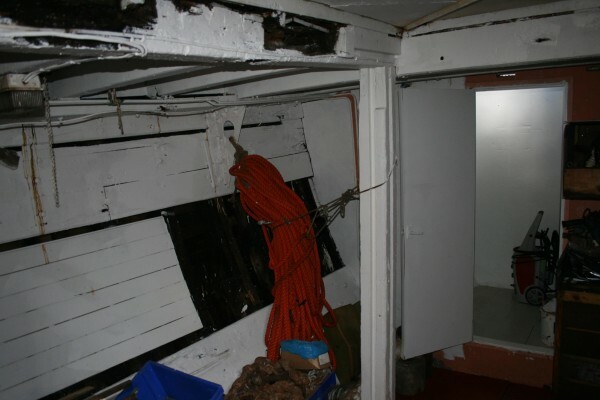 Some of the capping rail has been replaced in recent years. 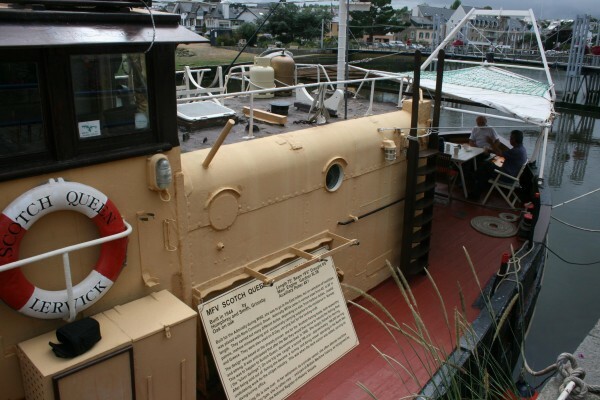 The original wheelhouse is in place with a deck house aft of this, all made of riveted iron plates. 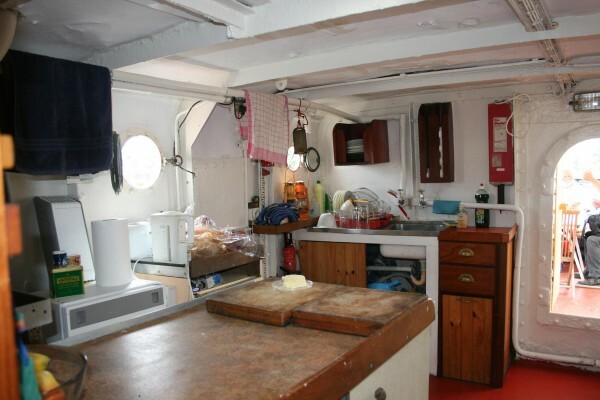 The deck house contains the galley as it traditionally would have done. 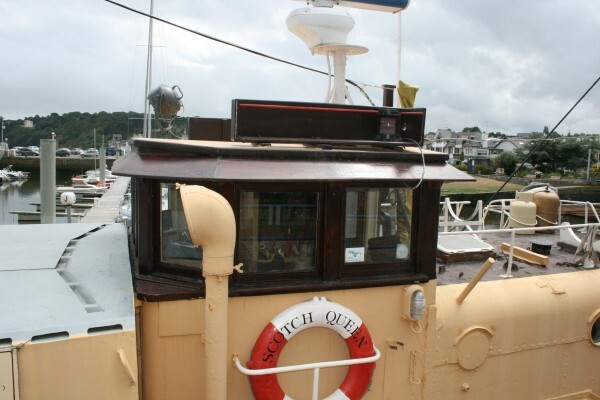 There is a step up into the high wheelhouse which gives excellent visibility. 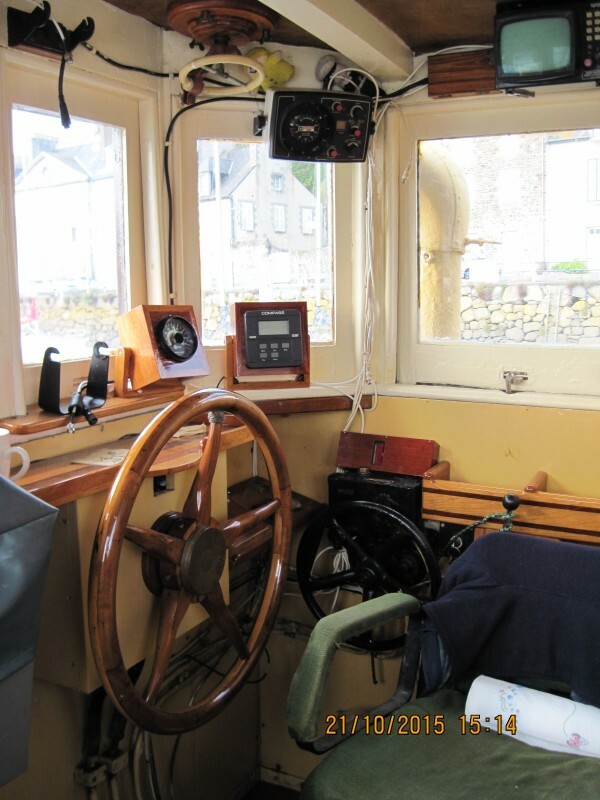 The newer deckhouse forward of the wheelhouse is made of aluminium and was added as a survey office during a former life. 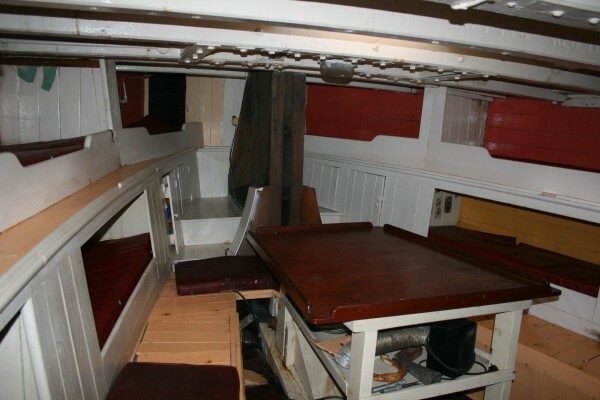 There is seating around a large table with a companion at the forward end going below decks. 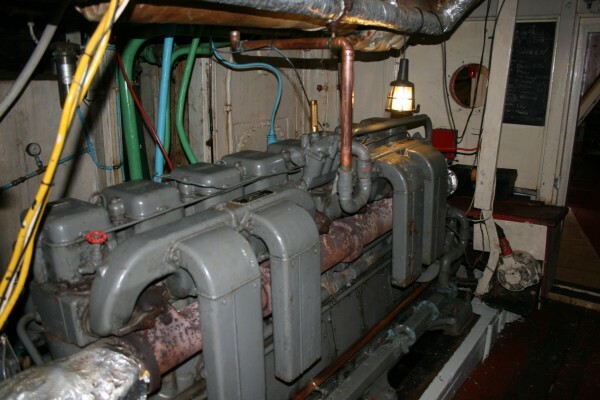 Gardner 8L3B 230hp marine diesel. Gearbox with manual controls to a large fixed 3 blade propellor. 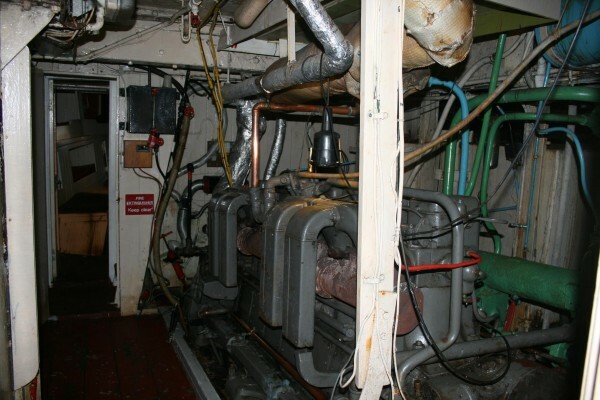 2 painted steel fuel tanks, one each side in the engine room. 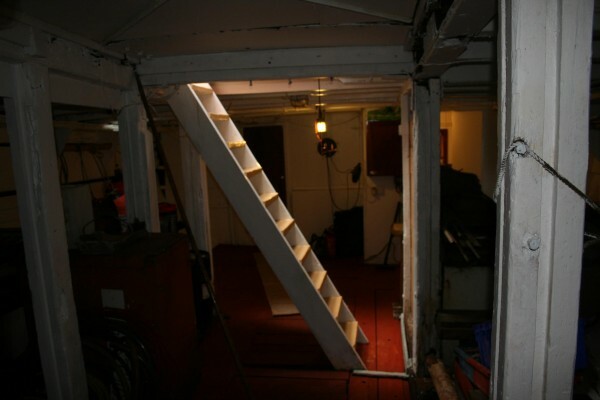 6 single berths in the aft cabin as she had when fishing, this was the crew accommodation with an access ladder into the deck house. 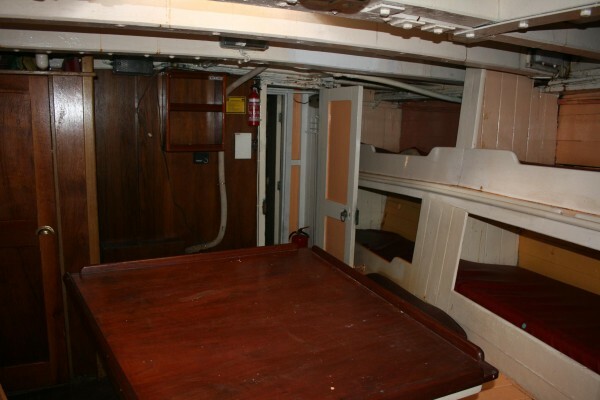 Large table in the centre of the aft cabin so the area served as the sleeping quarters and the mess. 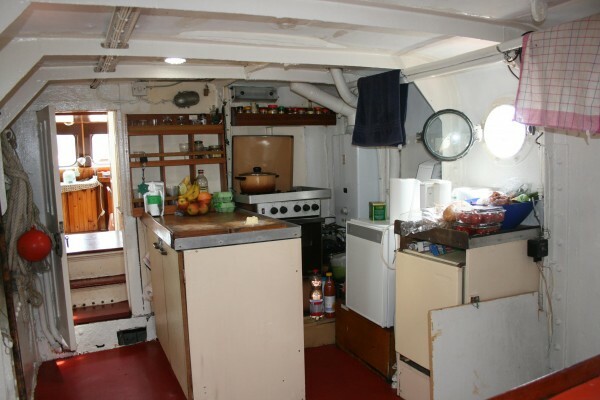 Located in the deck saloon, there is a large gas cooker with work surfaces and a fridge. In the corner is the gas fired water heater system. 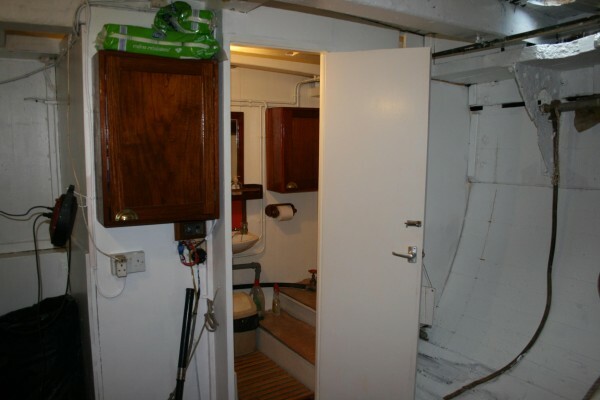 There is a heads compartment below decks forward of the engine room with a sea toilet, sink and shower.